Editor's Note: This is a guest editorial by Glen Milner, a member of Ground Zero Center for Nonviolent Action. It was originally published at Crosscut.com on January 10, 2017. In September of 1980, routine maintenance work on a U.S. Air Force Titan II missile near Damascus, Arkansas, became a life-and-death crisis. The trouble started when a 21-year-old airman accidentally dropped a socket from his wrench, which then fell 70 feet and pierced the missile’s side, releasing a rush of explosive fuel. The W53 warhead on the Titan II missile at Damascus was the most powerful weapon in the U.S. arsenal at the time and was equal to three times the firepower of all the bombs used in World War II, including the two atomic bombs. The initial explosion catapulted the 740-ton silo door away from the missile silo and ejected the second stage and the nuclear warhead. Once clear of the silo, the second stage exploded. The warhead safety devices performed as designed and it did not explode. This scene, which is described in horrifying detail in Eric Schlosser’s 2014 book, “Command and Control,” is now the centerpiece of a PBS American Experience documentary of the same name. The film aired on on KCTS 9 public television (Crosscut’s sister organization) January 10. If you missed it, you can stream it, and find bonus videos and articles, on the PBS website here. “Command and Control” shows what can happen when the weapons built to protect us threaten to destroy us, and it speaks directly to Puget Sound citizens: Locally, we face a similar threat in Hood Canal with the largest concentration of deployed nuclear weapons in the United States at Naval Base Kitsap-Bangor. 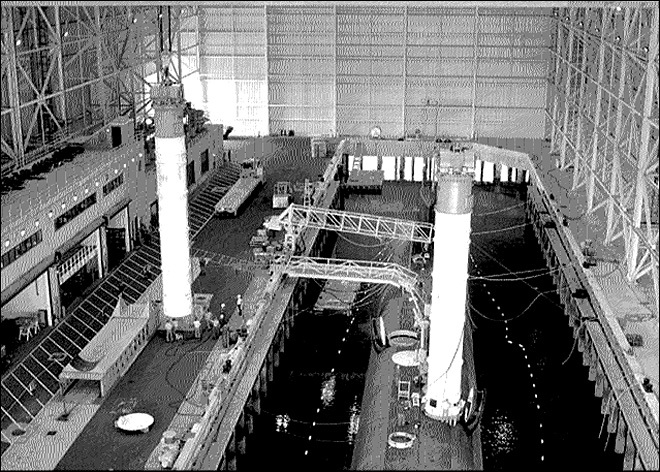 An accident at Bangor involving nuclear weapons occurred in November 2003when a ladder penetrated a nuclear nose cone during a routine missile offloading at the Explosives Handling Wharf. All missile-handling operations at the Strategic Weapons Facility Pacific (SWFPAC) were stopped for nine weeks until Bangor could be recertified for handling nuclear weapons. Three top commanders were fired but the public was never informed until information was leaked to the media in March 2004. The Navy never publicly admitted that the 2003 accident occurred. The Navy failed to report the accident at the time to county or state authorities. Public responses from governmental officials were generally in the form of surprise and disappointment. A major danger at Bangor is the possibility of an accident involving Trident rocket motor propellant while loading and unloading the nuclear-equipped D-5missiles at the Explosives Handling Wharf. Trident propellant is more volatile than TNT and is capable of detonating upon impact. Propellant in one missile has the explosive force equal to 155,000 pounds of TNT. An accident at the Explosives Handling Wharf at Bangor could result in an explosion equal to 3.7 million pounds of TNT involving up to 24 D-5 missiles on one SSBN submarine. 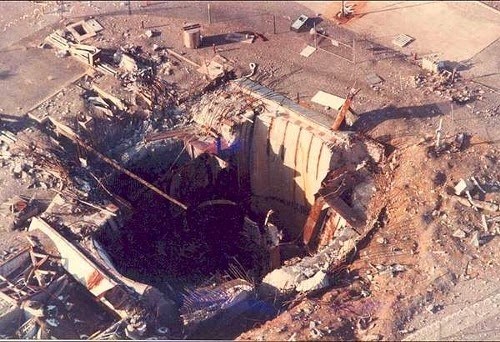 The result of such an explosion likely would not cause a nuclear detonation. Instead, plutonium from the approximately 108 nuclear warheads on one submarine could be spread by the wind. There is no weapons system in the U.S. arsenal with the operational risks of a Trident submarine. Consider the nuclear reactor on each submarine; the complexity of 25,000 parts in just one D-5 missile; and routine loading operations for explosive missiles and warheads on the Hood Canal waterfront. Robert Kenner, director of “Command and Control,” states, “Opinions range widely on whether we should have nuclear weapons, but while we have them we can all agree that safety should be paramount. Given how devastating the consequences of an accident could be, we must strive for the lowest possible probability. Watching the documentary may help viewers decide whether nuclear weapons are worth the risk.